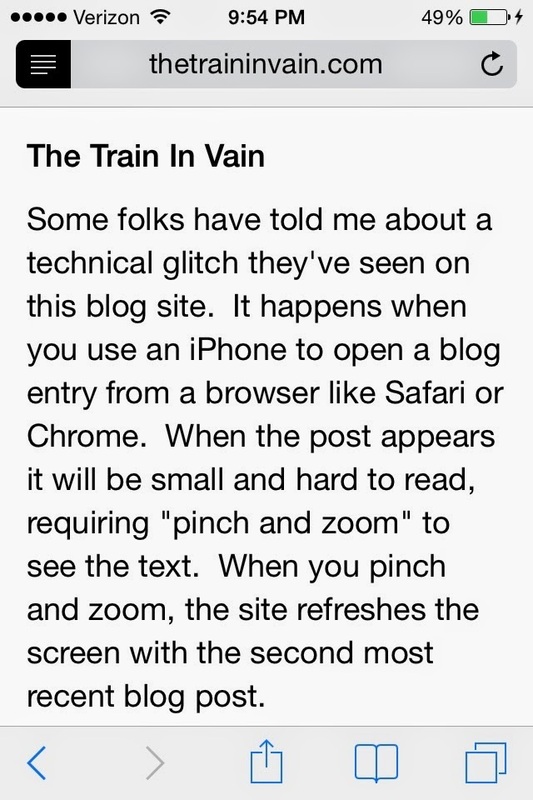 In my post, Don't Let The Blogbugs Bite, from July 24th, I talked about a mobile site bug where "pinch and zoom" refreshes the view to an earlier blog post. Several readers have reported this problem to me. I suggested a workaround in that post to avoid the issue. However, if you use Safari on your iPhone, there's a much better option. It's called "Reading View." 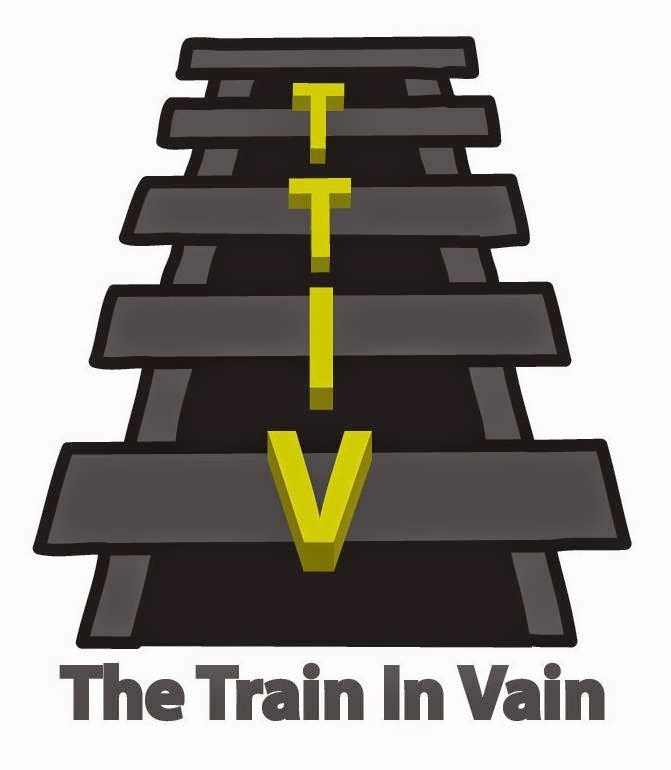 When you first load the blog post on your Safari browser, it will look like the image in the photo below. Tap the icon to the left of the web address, as indicated by the arrow. 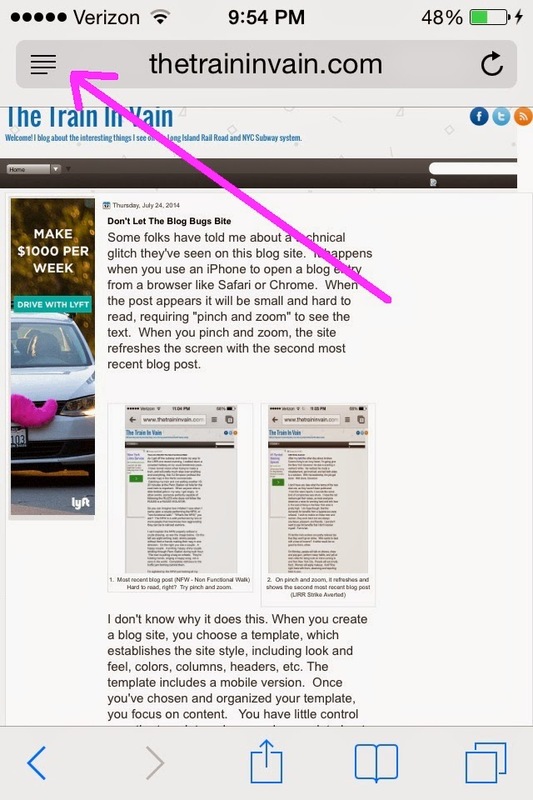 When you tap that icon, the view in Safari changes from mobile view to reading view, as in the image below. The content will be much more readable, and no annoying "pinch and zoom" problems. I don't know if other browsers have similar capability. I checked Chrome but didn't find anything. Hope that helps. Thanks to the reader who pointed this out.